The editors' clinical framework identifies variables that heighten risk for individual, couple, or family dysfunction and describes key processes that foster healing and growth. 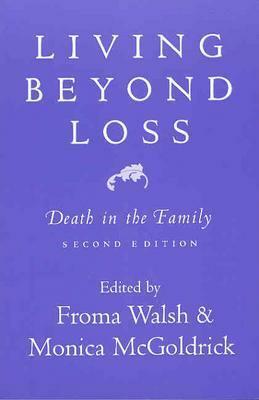 Chapters by leading authorities reveal how the family response to loss affects all members and their relationships across the life cycle and the generations. New chapters address such topics as spirituality, gender issues, suicide and other traumatic deaths, unacknowledged and stigmatized losses, and resilience-based approaches to family and community recovery from major disaster. In a completely new section, prominent family therapists offer poignant reflections on their own legacies of loss. Throughout Living Beyond Loss, Second Edition, readers will find valuable therapeutic guidelines for working with threatened loss and end-of-life dilemmas, the immediate aftermath of traumatic loss, and long-term complications. Case illustrations address a wide range of loss situations, show their ripple effects, and suggest ways to address hidden losses when other symptoms are presented. Therapists and counselors will find their own lives and practices deeply enriched by this new volume.